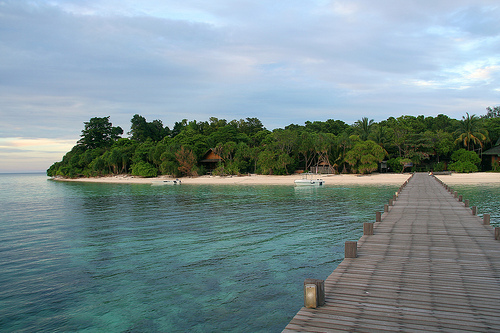 The Lankayan Island is located at the Sulu Sea. 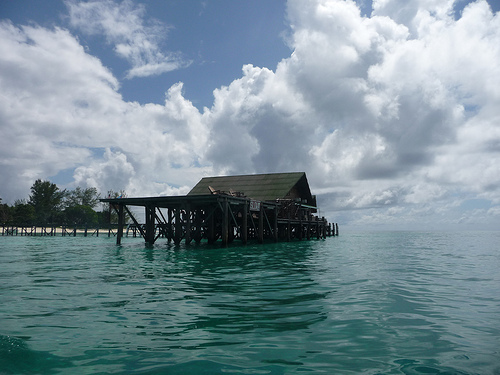 The island is uninhabited and takes about 2 hours from Sandakan on a boat ride and about an hour ride from the Selingan Island. The island offers vast empty beaches, dense tropical forest and vast areas of untouched coral reefs. This makes the island a perfect place to explore and to relax. The Lankayan Island is only about 4 hectares in size and is surrounded by palm and casuarina trees on its beaches and crystal clear waters that lap the shore. 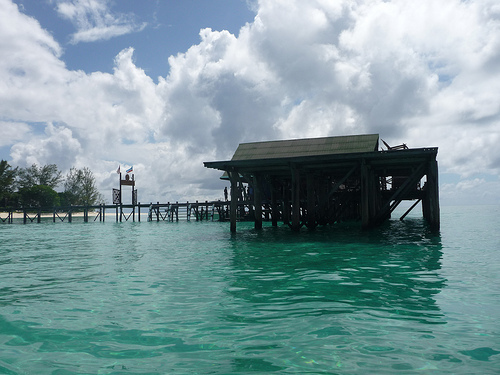 Lankayan Island is one of the three islands that form the Sugud Island Marine Conservation Area (SIMCA). Billean, Tagaipil Island and the surrounding ocean of approximately 46,713 hectares are also within this protected region managed by Reef Guardian Sdn. 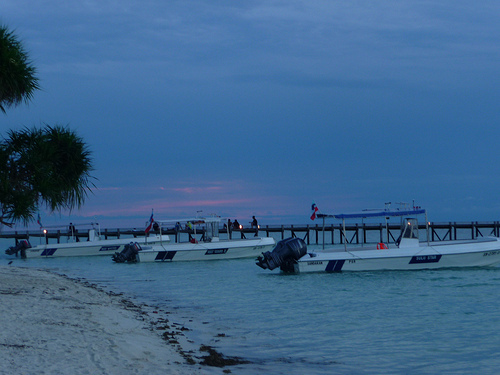 Bhd.Reef Guardian has four major components namely; Marine Conservation, Environmental Conservation, Marine Protection Enforcement and Eco Diving. Scuba diving at Lankayan Island is a must. You do not even need to put your head underwater to see for yourself the work and effort Reef Guardian has put into the island. 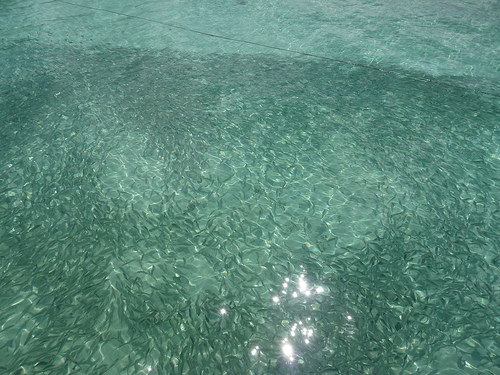 At shallow waters of the island, there are many Black Tip reef sharks which signifies healthy marine environment. Dive sites are plentiful around the Lankayan Island and all are about 2 to 15 minutres speedboat ride away from the resort on the island. Do expect to see large healthy corals and thousands of fish when you dive. 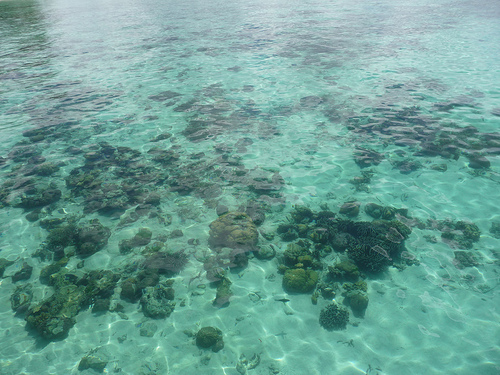 Expect to see damselfish, anglefish, surgeonfish and many more. Guitars sharks are rarer here but can be present around the month of April through May. Non diving activities include snorkeling and sea kayaking. The Lankayan Island is also a nesting area for both the Green and Hawksbill turtles. The Reef Guardian has their own patrol unit to guard any laying turtles from disturbance of humans. Eggs that have been laid will then be removed and brought to the hatchery.Accommodations are limited on Lankayan Island but accommodations in Sabah are plentiful as the myriads of tourist destinations here attract many visitors. Thus, hotels in Sabah have been developed to fulfill the demand. The transfer to the Lankayan Island is by speedboat departing from the Sandakan Yacht Club and takes about an hour and a half.